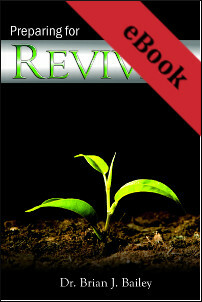 Revivals reveal both the power of God and the frailties of man. Past revivals repeatedly show us that we must become prepared to not only enter in to the mighty power of revival, but also to keep it flowing and to keep it pure. Dr. Bailey shows us that by building strong Biblical and spiritual foundations in our lives, families, and churches we can become ready for the great revival that will soon come to all nations.